It happens. Sometimes when you drop off your rental car its in a little worse shape than it was when you picked it up. Maybe there are a few scratches here, or a dent there. Whatever the damage, you know you are going to be billed for it, and then there are “loss of use” fees. Loss of use fees are the charges that the rental car companies tack on to the repair bill for the vehicle, they represent the income that the vehicle could have earned had it not been in the shop getting fixed. In the past, most rental car companies would write off the time a car spent in a garage as an expense. However, with today’s shrinking profits they are adding these fees to the repair bills. This allows them to recover the revenue they would have collected if the vehicle was available for rental. Last year the Colorado Supreme Court ruled in favor of PurCo Fleet Services in its seven year battle to collect loss of use fees from a customer who damaged her rental car after hitting a deer with the Durango she was driving. The justices ruled that the company was “entitled to recover loss of use damages irrespective of its actual lost profits.” This ruling, however, only applies to car rentals in Colorado. At least three other states, including New York, California and Wisconsin have laws that set limits on the amount car rental companies can recover from the loss of use on a damage claim to their vehicles. In the rental car industry there is no clear cut way to decide how loss of use charges are to be calculated. 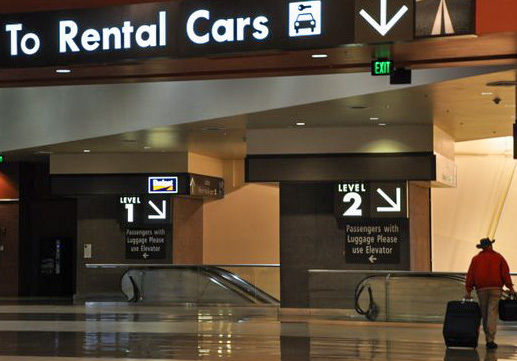 At Enterprise, the largest car rental company, loss of use is based on the total number of labor hours from the repair estimate, divided by four, which the company says is a conservative estimate of labor hours that can be incorporated into each work day, that is then multiplied by the daily rental rate. PurCo Fleet Services, a risk management company that specializes in car rental loss prevention, calculates loss of use based on the number of days needed for repair and then multiplies that by the daily rate of the contract. If a customer’s insurance company insists on only covering the actual damages, they will reject all or part of the claim for loss of use charge. That bill will then be passed on to the customer, who could pay the fees or ask the rental company to reduce them. In a lot of cases the car rental companies end up threatening to take action including take customers to court, report them to a credit agency, add them to a “do not rent” list. What if we rent a driverless car in the future. Who will be accountable if there is damage from driving? I think this will be one of the main questions that will need to be addressed, don’t you? I have to admit every time I hear about driver-less vehicles, it’s the first question that pops into my mind and I’m sure it’s the same with most people. Another question that I always have is, why do we need driver-less vehicles in the first place? What will they really achieve except being another cool novelty? I am a little biased because I’ve always enjoyed cars and driving, especially long trips with the family, but seriously do we really need them? Maybe we need to start looking at things as we do in our personal life (mainly our finances) “Do we NEED it, or do we WANT it?” Maybe if we put these intelligent minds to work on solving hunger or world peace we would be further ahead as a society. I’m not really a major “tree hugger” but seriously to me it’s just a logical response. However, I would think that it would come down to a trial to find fault and the result would have to be operator error or creator error. Unless of course the computers finally do organize to overthrow us and hold us captive lol Hey, if we’ve learned anything it is that anything is possible. Thank you so much for your ongoing interest in my humble content and for taking the time to share yet another interesting and thought provoking comment meant to exercise our brains with your intellectual and thought provoking questions. Oh yes we have lots of thoughts about driverless cars too. Not least that Mel is also someone who like you, enjoys driving. Imagine having to ‘tell’ the car to stop at that roadside shack because its just what you want to do. Pretty complex we’d think! From a lot of reading about this topic, it appears to be aimed first at the transport industry. So if I were a trucker in the US, I’d take notice. Driverless vehicles don’t need benefits! Even when I left 8 years ago I still get at least one email ad to join a trucking company and they promise to throw money at me as a sign on bonus LOL I saw a news report about the first driver-less truck. So we know what comes next although I wouldn’t trust 80,000 pounds at 60 mph to a computer HECK NO! Yeah we’d be ‘a little’ concerned about driving next to a driverless truck. The driverless train we have already malfunctions from time to time! But that said, you have brought up a great point about the transport industry. There is indeed a shortage of people willing to do the hard work! The worst part is these trucking companies are so desperate they don’t care if the people are properly trained. I had a few years of training and school to back me up because I didn’t want to kill anyone plane and simple but some of these folks are scary to say the least so which is worse lol.